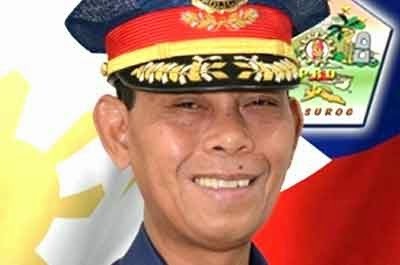 SORSOGON—The insurgency problem here has resulted to a recent spate of killings in this province, according to Police Chief Supt Victor P. Deona. In an interview by the BICOL STANDARD, he said that they have noted a substantial increase in the number of deaths. The latest of these occurred just this morning in Prieto Diaz town. Police reports say that at around 8:00 o’clock today Allan Figueras was shot to death by unidentified gunmen, at close range. The assailants were aboard two separate motorcycles, and were armed with an M-16 armalite rifle and a calibre .45 pistol. The incident occurred at Barangay San Isidro in said town. Reports gathered today say the police have already accounted for at least 7 killings this month alone. In the incident that happened this morning, the suspects were not identified. The other victims include Jinky Federio Estrada of Sitio Bongsaran, Rizal, Gubat , who was killed last October 11 at around 7 P.M.
She was killed just a few meters from a CAFGU detachment. The other victims of the series of killing were Federico Erive, 58 years old, of Sitio Mabaga, Gubat; Richard Lozano, 35 years old; and a utility worker from the Local Government of Donsol, who was killed in Dancalan, Donsol. Another person was also killed inside the city complex of Sorsogon City, one in the town of Casiguran, and another in Magallanes town. Deona told the BICOL STANDARD that they are coordinating closely with the Philippine Army, since the PNP only provides support in the insurgency campaign.